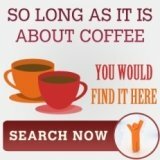 3 philip senseo coffee maker tips to better coffee! 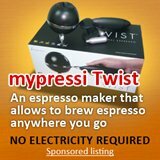 Philip senseo coffee makers brews gourmet coffee, is easy to use and currently even have greater variety thanks for gadgets like coffee ducks. Thus, we know that senseo coffee maker is good, here we explore how to even better our coffee experience with it. For those that do not know about this "warm up" procedure, immediately, I would know that you are one person that do not read the manuals that comes with the coffee maker. 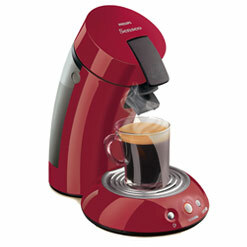 The thing about philip senseo coffee maker is cold coffee would be dispensed if the coffee maker is not first warm up. So, to get "hot coffee" from senseo, always make it a point to dispense a cup of water first. Other than warming up your senseo so that you can hot coffee, it also warm up your coffee mugs so that the pour in temperature of your coffee would not drop too drastically due to any external variables. Almost everyone I know simply take up the senseo coffee pods (their official name is actually coffee pads), insert into senseo coffee maker then dispense it. Sure, the coffee that comes out of it is good and consistent. I actually discover it by accident when I was multi-tasking and some hot water was poured onto the senseo coffee pods. I thought it would ruin the taste. Being cost conscious, I decided to still insert the coffee pods and dispense the coffee. To my surprise, it actually produce coffee with a better taste and it also comes with stronger aroma. So, now if I can afford the time, I would soak the coffee pods in hot water (less than 20 seconds) before putting it into the philip senseo coffee maker. For the consistency in taste and flavor with each and every cup of senseo coffee, we have to sacrifice variety. 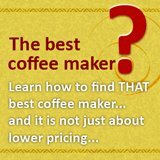 The fact remains that we cannot change the amount of coffee in a single pad, but do you know that there is still a way to change the strength of the coffee? Correct, that is to change the amount of water infuse into it. The simplest way is to turn it off while dispensing, you just need to push the center button. Another way to tuning it is by tuning the water regulator. For some philip senseo coffee maker , all you need to tune this water regulator is with a small screwdriver. It is located at the bottom of your senseo protected by a plastic. Turning the regulator clockwise would give you less but stronger coffee while anti-clockwise would give you more but weaker coffee. Do note that to reach this regulator, there is a small plastic that need to be broken and that would void your warranty. For those that cannot find this regulator, you might be having the very old model and you would need to unscrew the bottom plate to find the regulator. 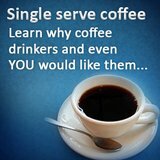 Maybe other coffee makers for yourself?